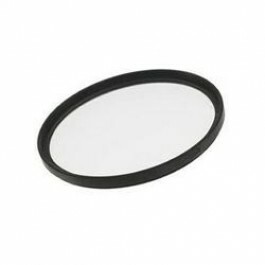 A protective filter is the most important accessory you should buy when you are purchasing a lens. At Gary Camera, we strongly encourage you to buy a protective filter with any lens you purchase before taking it out to shoot. An unprotected lens is illogical and high-risk when you have invested your money in a lens that can very easily be scratched without a filter. In addition to the protection the filter provides for the lens, UV protective filters absorb ultra-violet rays thereby preventing haziness or foggy effects. This filter is made of glass with a metal ring. We only sell metal ring lenses with glass at Gary Camera and not any plastic ring substitutes because they do not properly protect your lens. What's most appealing to you when you shop?